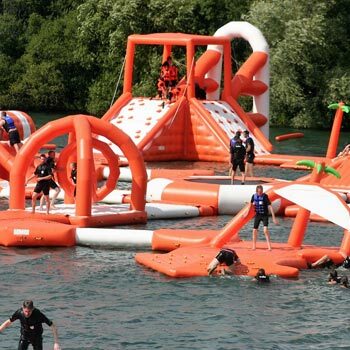 Aqua sphereing, water zorbing, aqua zorbing – call it what you will, this water experience is the equivalent of spending the wettest two minutes of your life inside a giant washing machine on its “people washing” program. Zorbing, or sphereing as it’s sometimes known, is the madcap adrenaline experience of whizzing down a hill strapped inside a giant 12 foot plastic ball. But this experience goes one better. You still whizz down a hill inside a 12 foot sphere of plastic, but this time you’re not strapped in, and the ball is part filled with water. Can you imagine anything dafter? Even Ozzy Osbourne in his prime would have rather bitten the head off a bat than subjected himself to this hilarious water torture. OK, so here are the highs and lows of the trip. Firstly, you can book it for one person, or buy it for two and share the experience of being machine washed together with someone as daft as you are. Secondly, all the providers sell the same set of experiences, so once you’ve found the one you want at a place near you, then we suggest you simply buy on price. That’s what our complete list above is for. Thirdly, you’re going to get wet. It sounds unnecessary to say, but you’d be surprised what some people turn up in, so don’t wear your best chinos, your Gucci knitwear or your suit that you wear for the office. You’ll be taking off your shoes and jewellery anyway, so take a set of comfortable clothes that you don’t mind getting a bit wet and knocked about. And by “a bit wet” we mean absolutely soaked! There are locations country wide now, so you can see how popular rolling down a hill in a Hotpoint has become, and there will almost certainly be one not too far from you. You’ll start by being able to watch other people doing it first, which is always a help, and you’ll get a full safety briefing too, to make sure the whole thing is fun fun fun (well wet fun anyway). And afterwards, when you’ve stopped laughing, there’ll be time to dry off before getting changed again and going back to the real world. And finally a word of warning: if you’re frightened of water, then this experience is definitely not for you. 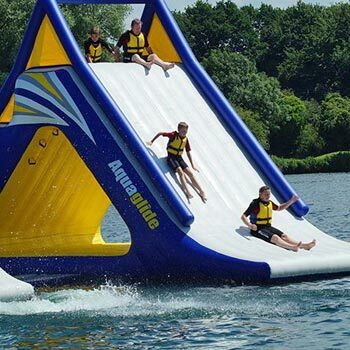 But if you love water, love a laugh and have a bit of a daredevil streak, then you’ll have a brilliant time and we bet you’ll want to go again! Now all that remains is to decide you wash program. 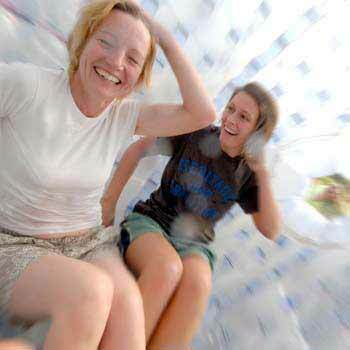 Aqua sphereing – water zorbing experience4.25Sarah FirminRoll down a hill inside a giant washing machine.